Istanbul has been one of the world’s most culturally rich and historically significant cities for nearly 3,000 years. It has played a notable geopolitical role as its name has changed from Byzantium to Constantinople to Istanbul (which literally means “in the city” and is emblematic of its eminence). 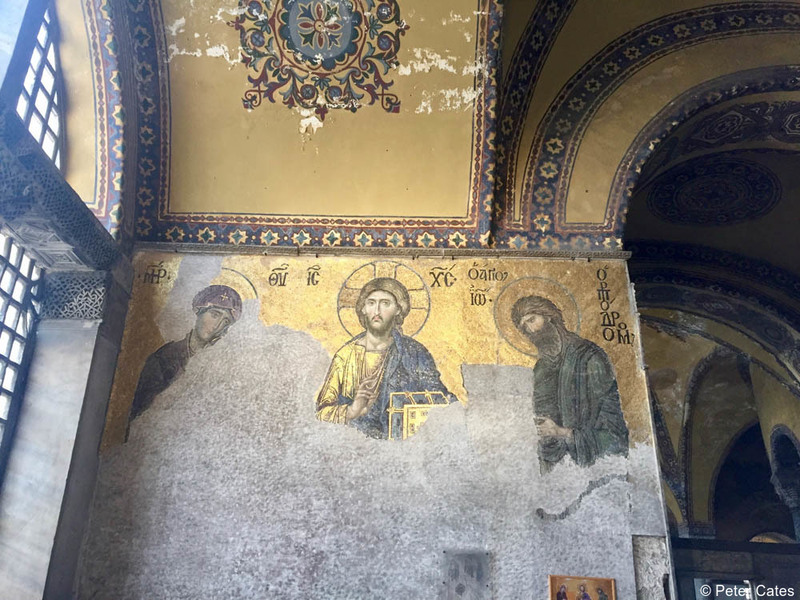 Perhaps no site demonstrates the diverse history of Istanbul as much the Hagia Sophia (Aya Sofya), one of the most important cultural sites in the city and a highlight of any visit. 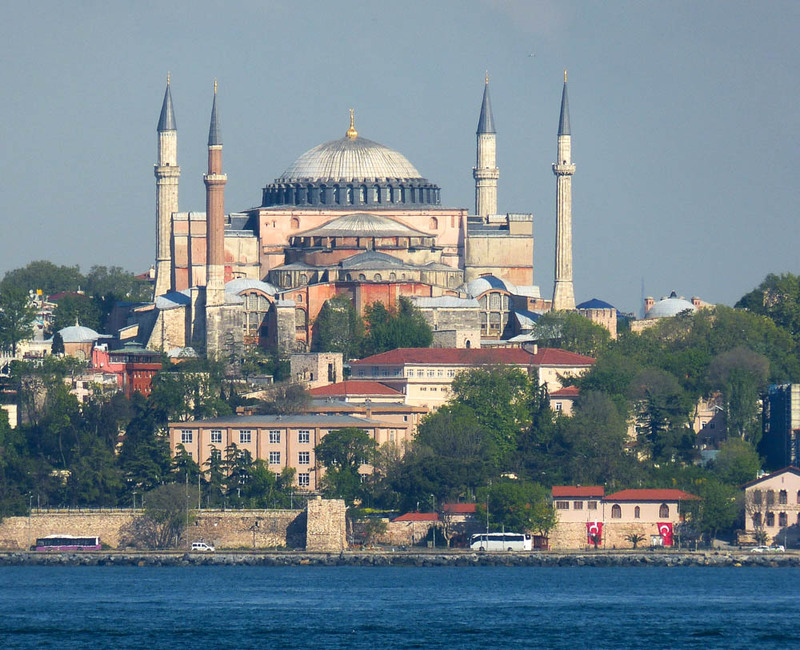 Byzantine emperor Justinian I built the Hagia Sophia in the sixth century A.D. as a Christian cathedral when Constantinople was the capital of the Roman Empire. The church remained a Christian landmark for nearly a millennium. 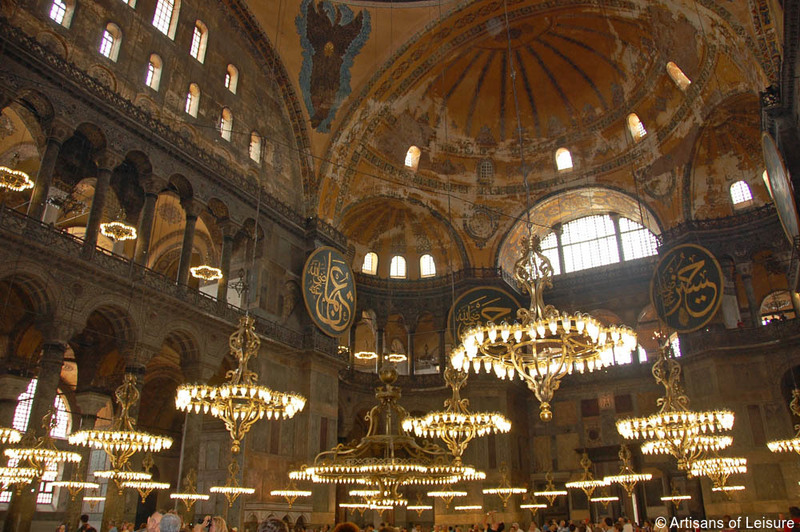 When the Ottoman Turks conquered Constantinople in 1453, Sultan Mehmed II converted the Hagia Sophia to a Muslim mosque. In the 1930s, Turkish president Kemal Ataturk converted the mosque into a secular museum. 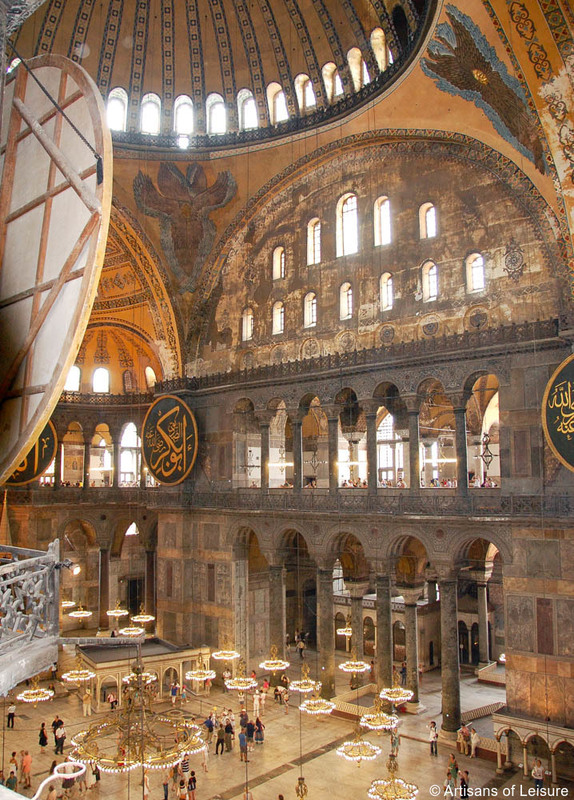 Today, the Hagia Sophia embodies the city’s diverse cultural heritage in its blend of Christian and Muslim iconography. 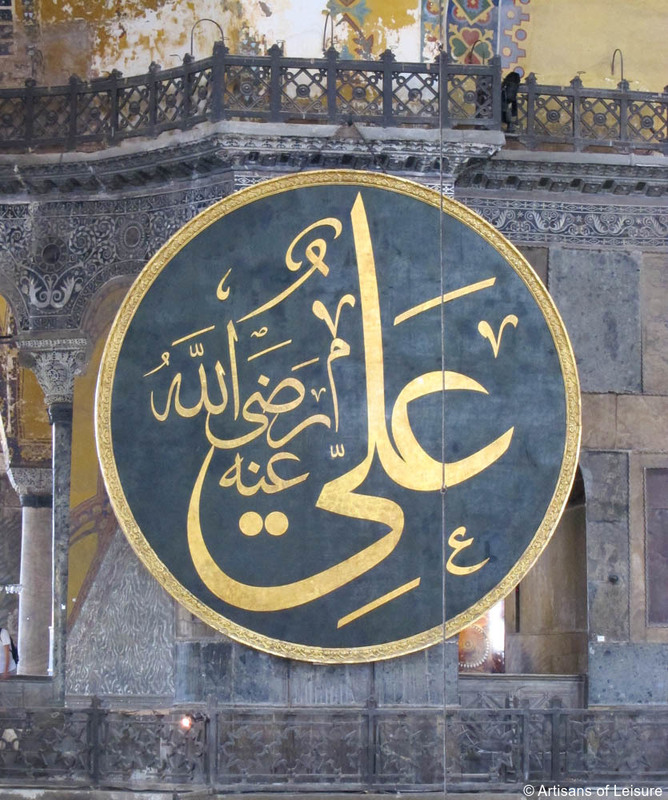 Intricate Byzantine mosaics depicting Christian figures such as Jesus, the Virgin Mary and John the Baptist cover the interior walls, and massive circular panels display the names of Allah, Muhammad and other noteworthy Muslim figures written in ornate gold calligraphy. 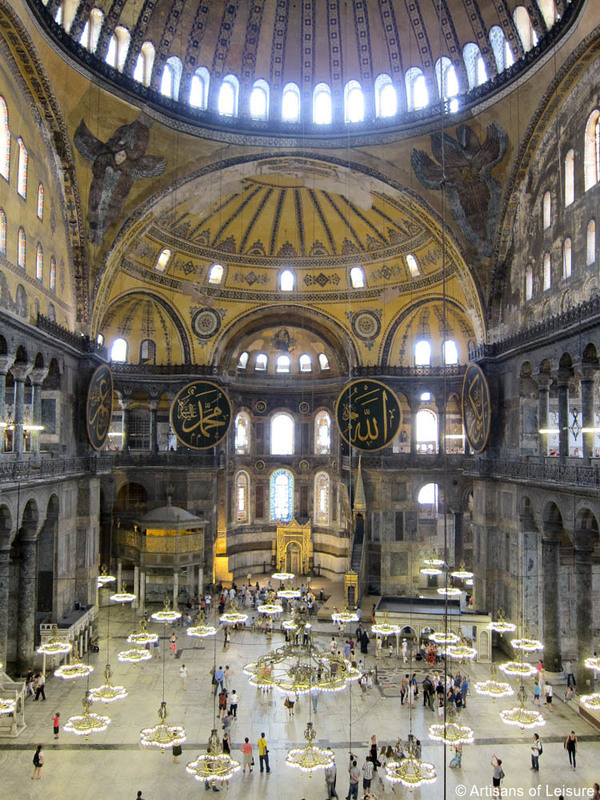 The Hagia Sophia also stands as a unique accomplishment in Byzantine architecture. The square base is topped with a central dome whose diameter exceeds 100 feet (31 m), an engineering wonder of its time. In addition to the brilliant gold decorating the ceiling of the dome, the interior also features immense stone columns and dozens of chandeliers that elevate the sense of grandeur. For a special experience, Artisans of Leisure can arrange an appointment for a traditional Turkish bath at the Ayasofya Hurrem Sulatan Hamam. Originally constructed for the religious community of the Hagia Sophia, the renovated 16th-century baths make for a relaxing experience. 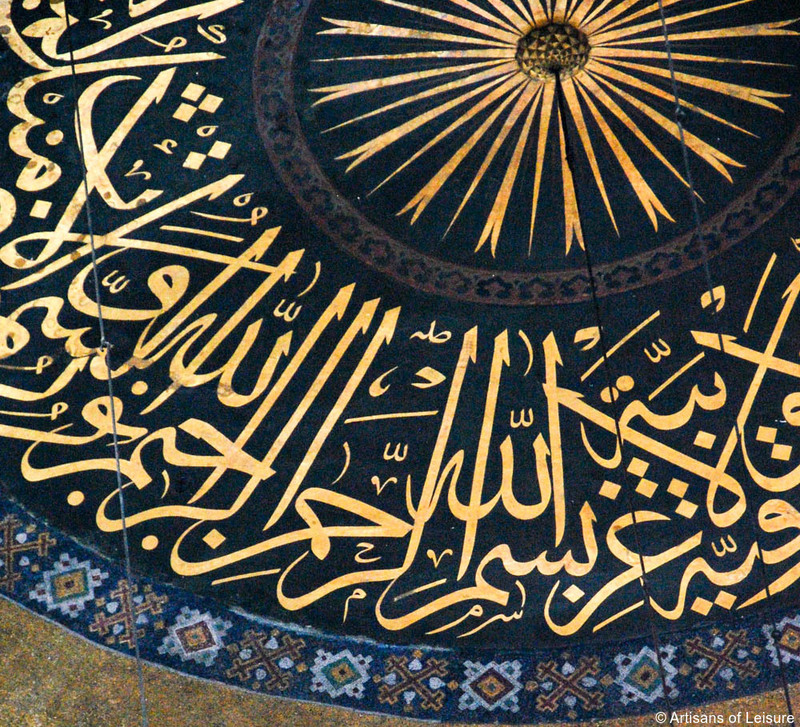 Artisans of Leisure arranges privately guided tours of the Hagia Sophia with top local guides as part of our in-depth cultural touring throughout Istanbul. We also arrange private tours of sites that feature the fascinating layers of history in the city. Contact one of our Turkey specialists to start planning.